Oh my! I can't believe how time goes by so fast. I feel like it was only yesterday that we brought home this little baby from the hospital and that was 5 years ago. 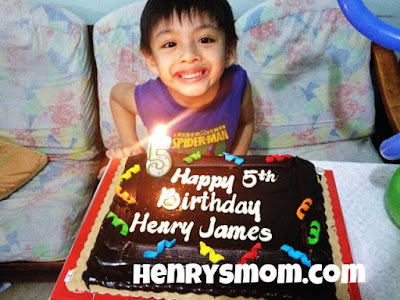 Last Monday, my little Henry turned 5 years old. 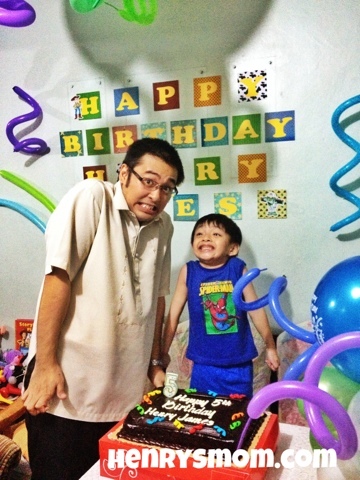 Although we scheduled a birthday party in school, we also wanted to have a celebration on his actual birhday. So, we had a simple celebration at home. Henry wanted a suprise party. When it was time for the celeration to begin, he turned off the lights himself and then turned them on again as we all shouted, "Surprise!" He did act surprised though. There were no games as it was just us adults and Henry. 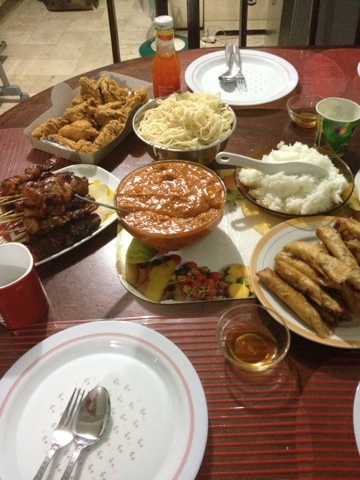 Our handa was simple. We had his favorite spaghetti and lumpia. And, we also ordered barbeque and chicken from Amber's. We love Amber's! The mother-in-law was in charge of the balloon decorations. There were plenty of balloons hanging on the ceiling. 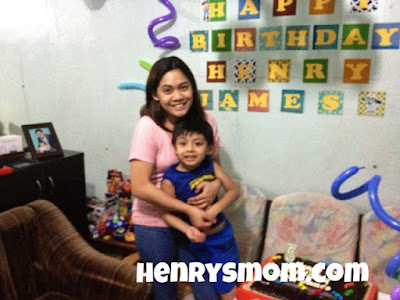 Henry loves Toy Story, so the balloons used were in Buzz Lightyear's colors. I made the banner. I printed the backgrounds on matte photo cards. 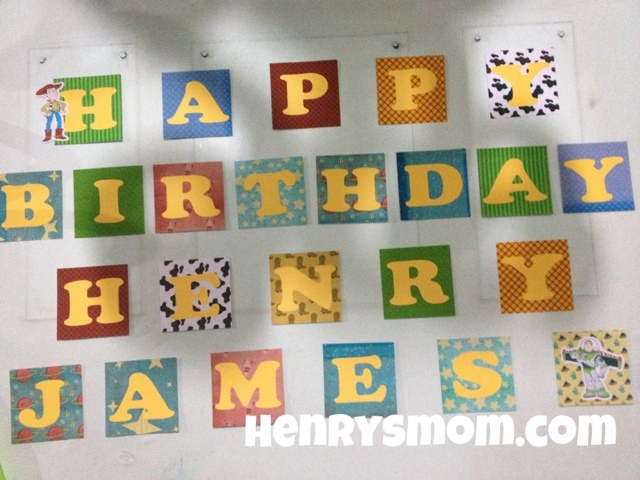 The letters are made of cardstocks that were cut using my Silhouette cameo. Our celebration may have been simple but I'm glad that Henry appreciated it. He kept on saying thank you for his little party. Plus, he had a big grin plastered on his face all night. Happy birthday, baby! I hope that all your wishes will come true. Mommy and daddy are truly blessed to have you in our lives.